You’re just one click away from whatever you need to promote and organize your interview with career coach Angela Copeland. Please don’t hesitate to reach out to us at info(at)copelandcoaching(dot)com. Angela has an external microphone and her SkypeID is: CopelandCoaching. Angela also has access to both a mobile phone and a landline. If you have any issues reaching Angela during the interview, feel free to text her on her mobile phone, or e-mail her at angela(at)copelandcoaching(dot)com. 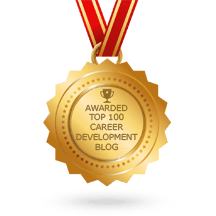 FREE offering for listeners: Sign up for Angela’s free career newsletter, and receive a free copy of her job interview and prep checklist. Visit Angela’s website to receive yours: https://copelandcoaching.com/. You are welcome to use these images for your website or promotional materials. Click on the image to view the high resolution version. Below are a few common interview questions you may want to consider asking Angela. How important is networking in my job search? Is LinkedIn actually a useful tool? How can I shift between industries, or roles? What if I’ve never had any experience in a particular industry? How can I get a job? I’m a recent graduate with no work experience. How can I compete? Are the minimum requirements on a job posting important? What role does the internet play in the job search? My parents tell me I should stay at a job until I retire. I’m not sure. What do you think? What role should parents play in the job search process? I really want to make more money! How can I make that happen?